You think your skin care regimen is a lot to handle? Try hair removal. For those of you who take it to this next level of beauty maintenance, we applaud you! The process of removing hair can be a bit of a nuisance and indeed very taxing, depending on how often (and where) you have to do it. We all have unwanted hair and there are several different methods available to remove it. Of course, there’s shaving: the easiest, most convenient form, but that often leaves your skin feeling stubbly and sandpaper-like. Then there’s waxing, which if performed wrong, can break hairs causing an even bigger problem: ingrowns. Laser and electrolysis are the more costly methods, making hair disappear, and your money along with it. 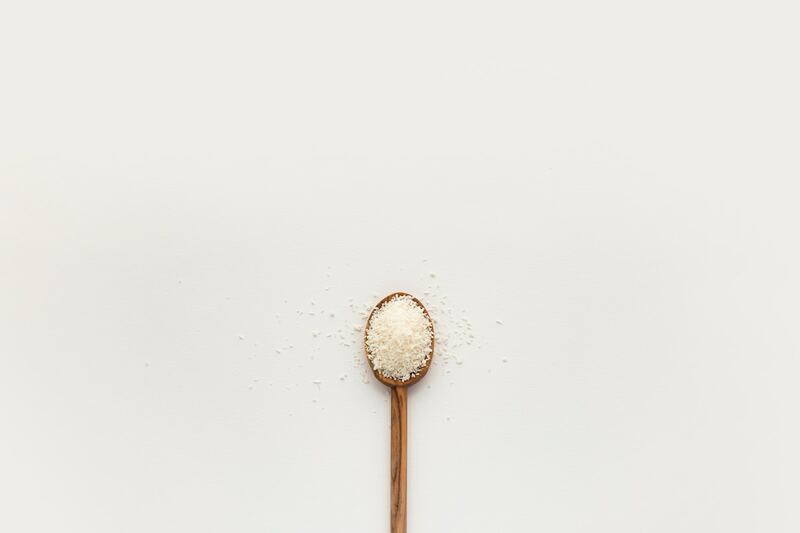 Our preferred method of hair removal, called body sugaring, will make your skin so sweet, you’ll want to eat it! Sugaring is one of the most ancient forms of hair removal. Dating back to early Egypt, this method has made it’s way into the modern world of hair removal and is becoming quite popular among beauty goers. The sugaring technique employs the use of a sugar paste or gel made from sugar, lemon juice and water. This substance has a wax-like consistency and color, but without the sticky resins, chemicals, preservatives and dyes that conventional “strip” or “hard” wax contains. The mixture is slightly warmed to room temperature, applied against the direction of the hair growth and then removed with the natural direction of the hair growth. The technique resembles somewhat of a smoothing of the paste over the area of the body with the hand or an applicator and then “flicking” it off. To remove all of the hairs successfully, one must master the skill of flicking. It takes time to learn, but practice makes perfect, and you’ll be sugaring yourself in no time! Sugaring and waxing are very different. As we said earlier, the sugaring paste is applied in the opposite direction of the hair growth and removed with it, whereas waxing is applied with the direction of the hair and removed against it. Traditional waxing uses either muslin strips or hardens on the skin before removing it. Wax removal can often be harsh and result in hair breakage. When the hair breaks under the skin’s surface, the hair that grows in thereafter gets trapped, causing an ingrown. We all know how incredibly painful ingrown hairs can be, not to mention difficult to extract and heal, especially in the bikini area—ouch! Another major difference between body sugaring and waxing is that the sugar only adheres to the hair follicle and never to live skin cells. Commonly used wax substances, because they contain resins, stick to live skin cells, causing not only pain with removal, but can lift the live skin! This results in a burn, usually scabbing over—definitely not a pretty result! The sugar paste on the other hand, never adheres to live skin, but only to dead skin cells. The mixture permeates deep into the hair follicle, effectively removing the hair and the inner root sheath (the white, waxy bulb you find at the end of your hair shaft). This removal is also a gentle, yet effective exfoliating treatment that leaves your skin silky, sweet and smooth after the process. This makes sugaring our most preferred method, because it is excellent for sensitive skin types. This one is for the adventurous types. If you aren’t up for this DIY project, best to leave the sugaring experience to the pros. With making your own sugar, it does require some trial and error, especially when you get to the application part. Mix all ingredients in a saucepan and turn up heat to medium-high. Heat up quickly (boil) for a short time, until it hits about 260 degrees Fahrenheit. Use a stainless steel candy thermometer to measure temperature. The boiling process will take about 9-12 minutes, give or take, to remove all of the water. Let the mixture cool at room temperature or in the fridge. Reheat in microwave for few minutes or less, until it warms slightly throughout. Don't forget to pre and post-treat! Before performing sugaring anywhere on the body, don’t forget to clean and pre-treat the skin. Cleansing or toning the area prior helps eliminate bacteria. Post-treating is also necessary— use any natural oil or moisturizer to help soothe, calm, and nourish skin post hair removal. What is your favorite natural method of hair removal? Have you tried body sugaring? I personally love sugaring too! I have tried one for myself lately and I’m loving the results so far. The process hurt! I mean, if I am honest the pain is almost the same as waxing – however, if you manage to make it through the first session, the others to follow will be a cake walk. It really just depends on your pain tolerance. It doesn’t work. The hair is still there. Helpppp ! Interested to try this out! I haven’t had luck in the past, but I’ll try this.